You may be required to take on extra responsibilities this month, Aries. Whether a colleague’s absence leaves you with a heavier workload than usual or a loved one’s illness forces you to adopt a caring role, you may spend the month swept off your feet. Your patience and flexibility will pay off over time and you’re likely to be rewarded for your hard work. Whether this is a physical, emotional or spiritual reward will all depend on the situation in question. Don’t get your hopes up on receiving monetary compensation for your time. Other types of reward may see greater results. A promising month may lie ahead, Taurus. 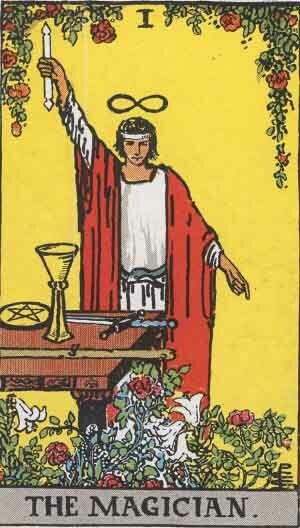 The Nine of Cups can be one of the most uplifting cards in the entire deck. Your life satisfaction and general wellbeing has the potential to shoot through the roof as you embark on a series of emotional, physical and spiritual adventures. If you’re in a relationship, your bond may strengthen if you try something new together. Single Taureans could see friendships go from strength to strength if they open up with those around them. This month it’s time to count your blessings and live in the moment. Enjoy the good things that happen to you and, in the event of a negative occurrence, push bad thoughts and feelings to the back of your mind. Out with the old and in with the new, Gemini. 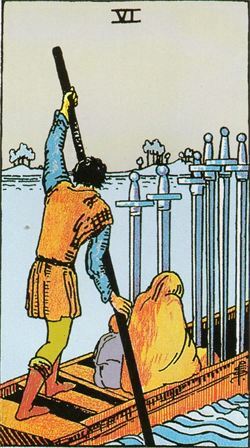 If this Tarot card is anything to go by, this is a month of change and transitioning. 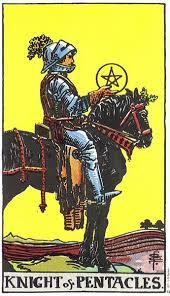 It may be time to leave an aspect of your life behind and embark on a new adventure. You may grieve for the person, place, hobby or habit you wave goodbye to but deep down you know this change is for the best. The road ahead is paved with opportunity and you could soon benefit from a new found sense of clarity, satisfaction and wisdom. If you’re going through a difficult period in your life that you cannot seem to escape, remind yourself how far you’ve come and how strong this experience is making you. Soon enough your time will come and you’ll be blessed with a fresh start. If you’ve just entered a new relationship, chances are you have butterflies in your belly and a constant smile on your face. You may have been hurt before but it feels as though something is different this time. Make sure you’re giving the very love you wish to receive and treat others how you wish to be treated. After all, positive vibes can be contagious. 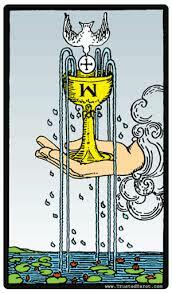 The Ace of Cups is also a card of creativity. Do you have an artistic streak? If so, it’s time to unleash this on the world. Whether you send a relative a handmade birthday card or invite your friends for a delicious three course meal you’ve cooked yourself, sharing your skills with others could spark joy. 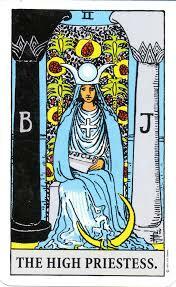 The High Priestess is a card of wisdom, knowledge, compassion and tranquillity. This card can often represent the power of dreams and intuition, suggesting this could be a time to follow your heart and use your spirituality to your advantage. Try to achieve more balance in your life and step away from negative situations that are damaging your sense of self. If you’re female, trust your own abilities and stay true to yourself. Stand your ground and don’t apologise for things that are not your fault. If you’re male, don’t be afraid to exercise compassion this month. Let your kind and caring abilities run riot and spread joy amongst others. 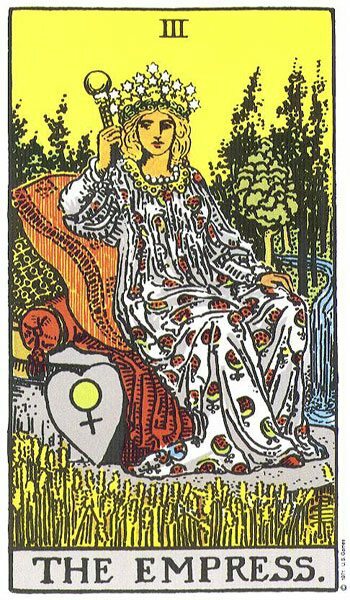 Even if you’re male, The Empress Tarot can signify a deep connection with our traditionally feminine qualities. No matter your gender, this could be a month of beauty, sensuality, fertility, creativity, care and compassion. If you’ve been thinking of taking a short break from the internet and social media, go for it! Escape from the online world (even if it’s just for a day or two) and let your senses run riot in the natural world. Listen to the sounds of the great outdoors, taste something you’ve never tasted before, and see things from a new perspective. Pamper your mind and body with a spa break, new exercise routine, or exciting hobby. 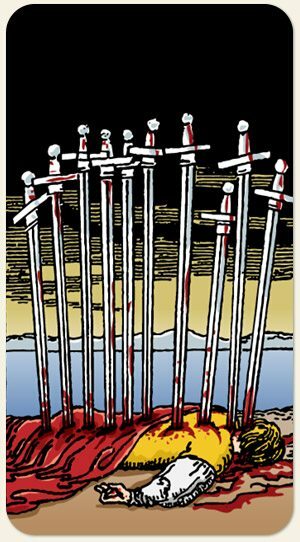 Sorry, Libra, the Ten of Swords is certainly not one of the most positive cards in the deck. It tends to symbolise a crisis and could indicate that a nasty surprise or dramatic change in circumstance is on the horizon. You may start to feel like a victim but this attitude could cause more drama than the actual crisis itself! A victim mentality could see your problems spiral out of control. As powerless as you may feel, try not to seek pity from others. Even though you deserve sympathy and compassion from those around you, wait for them to come to you rather than chase them for attention. Remember, we all need to go through distress and unhappiness at some points in our lives. These less than positive situations make us who we are and equip us with the courage required to thrive in the future. They also help to highlight the beauty of life while emphasising how precious it is. Keywords: Strength, power, courage, patience. Your patience is overwhelming this month, Scorpio, and it’s sure to pay off. Someone you know may try to get under your skin but you have a power within you to stop that from happening. Sure, you might find yourself getting a little annoyed, but we have faith in you to keep your cool and stay level headed. 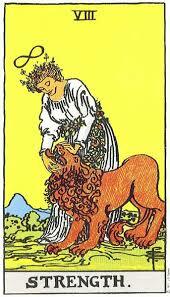 The strength card can also signify compassion and understanding. If someone turns to you for guidance, be sure to offer them the support they need. You can sometimes shy away from getting too involved in other people’s troubles but although no one likes a person who meddles, if a friend asks you for help, pay attention and don’t be afraid to get involved. Keywords: Manipulating, confidence, power, change. This month you may find yourself at a crossroads in life. You have the potential to create a new life for yourself but it requires you to go the extra mile and think outside the box. 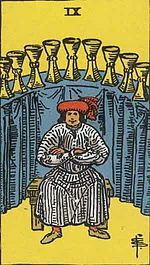 The Magician Tarot card suggests that you may be presented with an opportunity that allows you to demonstrate your power and creative abilities. Don’t pass this up, Sagittarius. If you’re wise, everything you touch could turn to gold. There’s an unstoppable magic within you that, if protected by your own confidence and self-esteem, cannot be damaged by outside forces. In the coming weeks you may meet someone who appears to be the pinnacle of hard work, control and success. 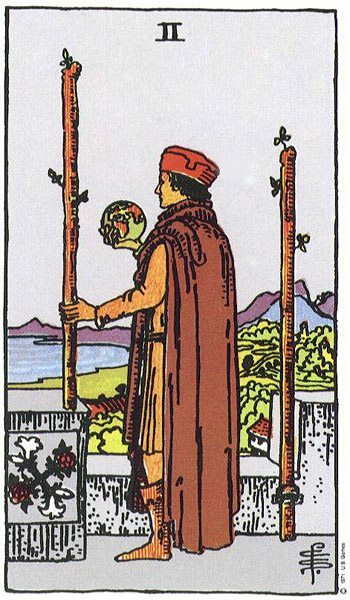 They may seem like a trustworthy figure with a wealth of self-discipline but this month could see them suffer a fall from grace. This person may not be what they seem and they could have ulterior motives. Avoid placing too much focus on money this month, Capricorn, particularly if you think you’ve found a ‘quick win’. After all, if something seems too good to be true, it probably is. 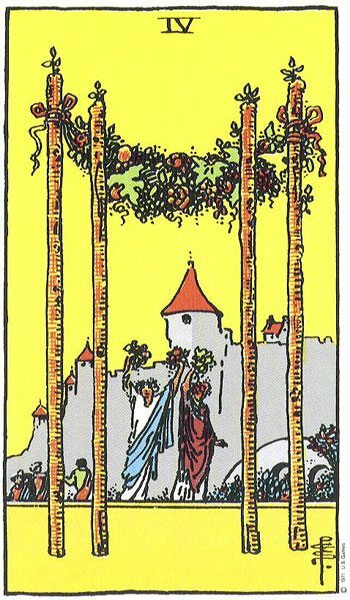 The Four of Wands tends to signify a happy period in one’s life and can be considered a sign of positive experiences to come. Is a wedding on the horizon? If you’re unmarried, don’t assume it’ll be your own. Perhaps a friend is celebrating an extremely happy time in their life and you’re invited to be by their side. This could be anything from an engagement or wedding to the birth of a child or a significant birthday. This month is all about milestones, Aquarius. Be sure to make this a month of love and kindness. Wear your heart on your sleeve and show people how much they mean to you. Keywords: Progress, decisions, self-exploration, adventure. The world is your oyster, Pisces, and you can go absolutely anywhere. The question is…what’s next for you? You have the potential for a great adventure and the hard part will be deciding which road to take. Careful planning and preparation is important to find out which route is likely to reap the best results but be careful not to go overboard or over think things. Ultimately, it’s impossible to know exactly how things will turn out. You have to use your intuition and give it a go. By being confident and stepping out from your comfort zone you’re likely to gain an overwhelming sense of fulfilment and pride. 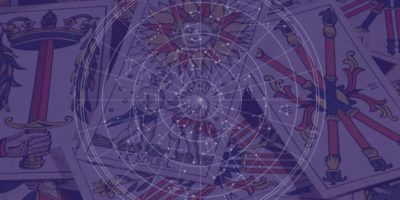 Dear Wishing Moon, Are the monthly tarotscopes coming up for this month (July 2016) ?